You are here: Home > News > More Demolition Proposed for North Belfast. Victorian warehouses, 76-88 Union Street; the ‘Sunflower Bar’, formerly Avenue Bar, 1895, 65 Union Street; Victorian Warehouses at 15 Stephen Street, c.1900; 97-101 formerly McCann’s Fruiter’s, and adjacent buildings, North Street c.1900; Hugh O’Kane & Co, 114-18 Donegall Street, 1865. 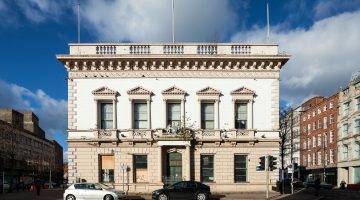 Despite being one of the oldest parts of Belfast, there are comparatively few historic buildings left in and around the area of Union Street and the Sunflower Bar. 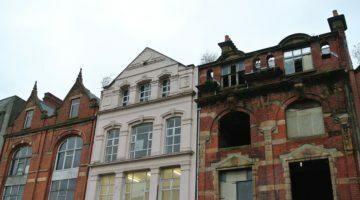 It is important that historic buildings are sensitively integrated into future plans for the city, that we grasp the opportunity of retaining cultural assets, regenerating them for positive architectural, cultural and societal benefit and do not lose any more to demolition for redevelopment. The fact that the Sunflower Bar has not been listed does not mean that it is not important. A public house has occupied the site for over 100 years, the building survived two bomb attacks in 1973, and it retains its distinctive caged entrance described as ‘a badge of pride for surviving the Troubles’, (Marcus Patton, Central Belfast, 2015). In recent years the business has been reinvigorated under new management and it is now a popular attraction for residents and visitors alike. The value of historic buildings may not lie uniquely in architectural significance, but also what a building represents in terms of cultural and social identity. We recommend that historic buildings like the Sunflower Bar should be used as catalysts for positive change within regeneration initiatives. 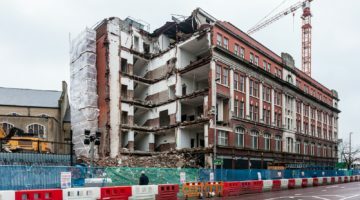 The demolition of the Sunflower, and other historic buildings in the area would be an opportunity missed for harnessing the value of continuity of place in the context of new development. UAHS supports the Sunflower in its campaign against demolition. Read the full article here. Please contact us if you wish to get involved in this campaign. 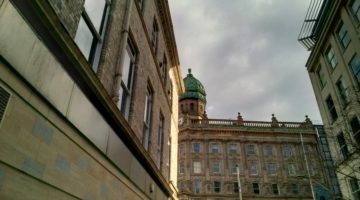 You can register your views by writing to: Belfast City Council, Belfast Planning Service, Cecil Ward Bouilding,4-10 Linenhall Street, Belfast.